A landmark report by the Intergovernmental Panel on Climate Change (IPCC) last year concluded there is unequivocal evidence that human actions are responsible for global warming. It was the latest in a long line of research that has fuelled a growing sense of fear over future weather conditions and driven debate in the insurance industry about the opportunities and risks this might create. In the wake of the report UN general secretary Ban Ki-moon fanned the flames further, saying, “The heat is on. We must act now,” while US secretary of state John Kerry described it as “yet another wake-up call”. It’s a wake-up call both environmentally and for the insurance industry, as global warming will have a potentially huge and growing impact on companies in the industry. The United States Environmental Protection Agency predicts average global temperatures will rise by 2°F to 11.5°F by 2100, depending on the level of future greenhouse gas emissions and the outcomes from various climate models. If correct, this would mean global average temperature warming by at least twice as much as it has in the last 100 years. There is significant evidence that this warming is already leading to weather pattern changes that could become more extreme as it continues. A recent review of scientific research on extreme weather by the IPCC found strong evidence that the number of hot days is rising while cold days are decreasing, as well as changing patterns of rainfall. Sea levels are rising more than 3mm a year too, as glaciers melt, which means surges, created ahead of storms by the impact of winds on the surface of the water, are increasing. And it is also possible that climate change could already be affecting other extreme weather events such as tropical cyclones and tornadoes. All this impacts on the insurance industry by creating an increasingly volatile risk environment, which, according to a recent report by catastrophe modeling company AIR Worldwide, in partnership with the Association of British Insurers, traditional reinsurers may be unable to deal with. This could lead to growing opportunities for the insurance linked securities industry as it steps into the gap, according to John Seo, managing principal at Fermat Capital Management. “Climate change is constantly being reassessed in the ILS market and continues to be a factor for investor interest,” he said. The impact of climate change on risks is complex though, he added. In terms of its impact on wind risk, “it is possible that climate change increases intensity of events when they occur, but decreases the frequency of events,” he said. Its impact on coastal flood risk has become a recent focus, particularly following Hurricane Sandy, he added. “Flood is more devastating than wind. Climate change impact on wind is a mixed story, but climate change impact on rise of sea levels is clear: higher sea levels universally means greater risk to coastal flooding from storms,” he said. 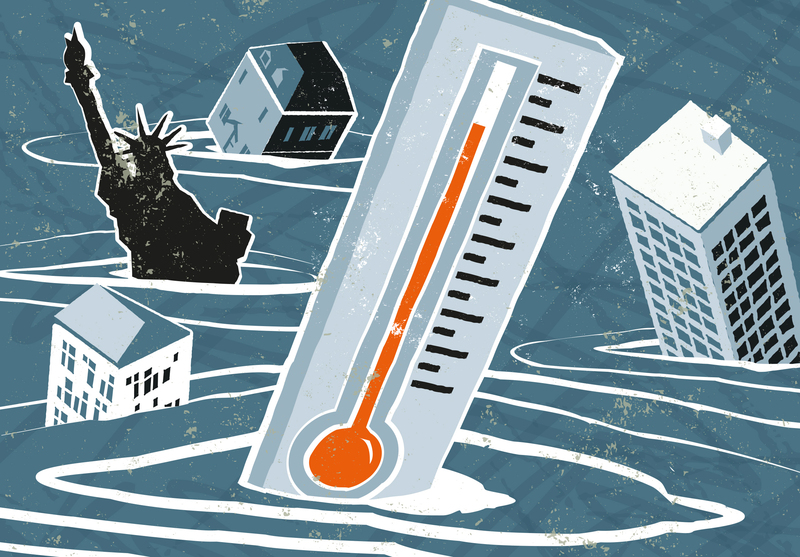 Insurance linked securities have evolved to cover the growing impact of climate change, according to Seo, by for example using innovative loss triggers to cover flood risk. An example of this is the MetroCat bond issued by the NY Metropolitan Transportation Authority, which uses tidal gauge readings to trigger risk transfer. “This helps get around the issue that flood claims are traditionally difficult to settle (because they are so messy) using traditional insurance and reinsurance techniques,” said Seo. Governments are also realising the need to turn to alternative methods of reinsurance in the face of rising levels of extreme weather, which according to a study last year by the UN-backed Economics of Climate Adaption Working Group, could cut gross domestic product in countries at risk by up to a fifth by 2030 and knock 10 percent off the GDP of hurricane-prone Florida. Last year China’s National Development and Reform Commission (NDRC) released a document calling for catastrophe bonds and other weather-index based products to be used to finance the after-effects of natural disasters. The NDRC estimated that extreme weather events have cost China around $33 billion annually since the 1990s and suggested the government should consider ways of guaranteeing the availability of financing for the after-effects of extreme weather by promoting the use of weather-linked instruments and catastrophe bonds as well as encouraging foreign capital introduction to risk financing. Greater insurance penetration in emerging markets like China, many of which tend to be particularly vulnerable to the effects of climate change, will also have a knock on effect in the development of the insurance linked securities industry. “Insurance penetration generally follows per capita income to the second power. That is, a doubling of per capita income tends to quadruple insurance penetration,” according to Seo. “The non-linear increase in insurance penetration coupled with heightened vulnerability to flood risks together are a formula for ILS creation,” he added. 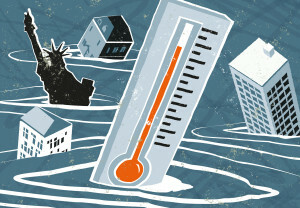 That suggests there is huge potential for the alternative reinsurance market to grow as a means of covering the rising threat of global warming.